When your root chakra is in overdrive, the one thing you abhor is change. The key is to familiarize yourself with the signs and symptoms of an overactive first chakra. Once you recognize what is amiss, the next step is learning about root chakra healing techniques to restore balance and foster your overall well-being. As the chakra located at the base of the spine, your first energy center is home to the raw, static energy of life. Raising and channeling this energy not only boosts your overall health, but plays a pivotal role in spiritual awakening. As the chakra of grounding, the first chakra governs your inner sense of security and place in this world. An overactive root chakra can trigger extreme feelings of insecurity. In an effort to rekindle the security you once felt within the core of your being, you now cling to outside influences to compensate or fill the void. 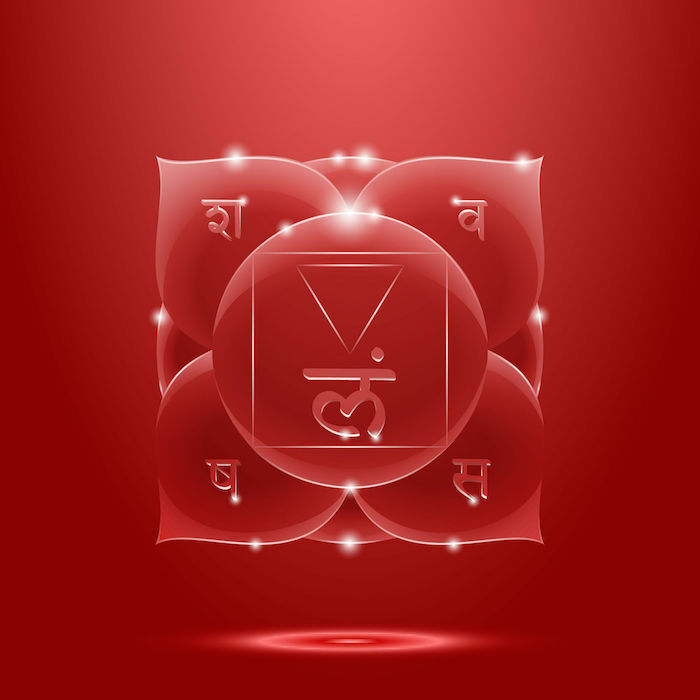 The color red is associated with the first chakra for more than one reason. Yes, red is the color of energy, love, and power. However, it is also associated with negativity, which can come out in full force when the root chakra is overactive. Symptoms of an overactive root chakra can adversely affect your physical, emotional, and spiritual well-being. When the root chakra is balanced you are grounded, in control, and at ease. When the chakra is imbalanced, it is not uncommon to become easily annoyed with people and situations, lash out at others, or become materialistic. 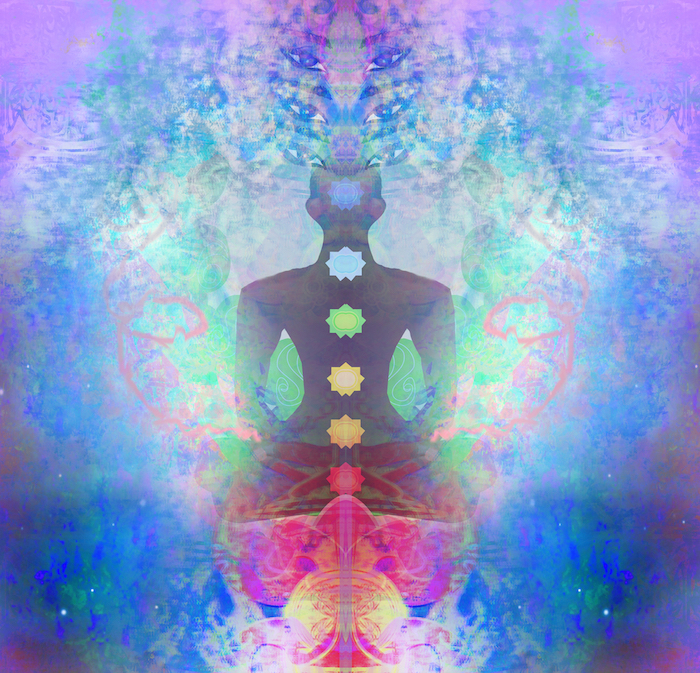 If this chakra is overly open, excessive attachments may develop and lead to rigidity in our body and behavior. “We may be obsessed with money and possessions or our health, unable to allow change or to let go, and as a result we get stuck in the same routines, same old job, same old patterns” (Anodea Judith on excess in the root chakra). Physical symptoms of over-activity can include bladder problems, constipation, fatigue, and anemia. If your first energy center is over-active, chakra healing for the root chakra can help alleviate issues and restore energy balance. Depending on the severity of the chakra imbalance, simply adjusting your diet, getting enough exercise, and incorporating meditation into your routine can restore chakra balance. Yoga benefits the root chakra and its overall balance, especially when dealing with an overly active center. Calming and low impact exercise tends to counter-balance the excess of energy. 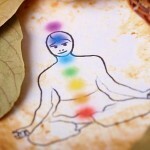 Energy healing, such as Reiki, sound therapy or using chakra stones, can also help the process along. Abandonment during the formative years often results in an excessive first chakra— one that overcompensates by clinging to security, food, loved ones, or routines. Source: Judith, Anodea (2011-03-16). 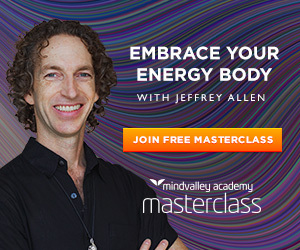 Eastern Body, Western Mind: Psychology and the Chakra System As a Path to the Self. There may be a hardness about the person’s character. He likes routine, security, and possessions, and may be driven toward financial achievement. He may appear cynical about spiritual subjects, preferring the concrete. His appearance may be meticulous, well-dressed, and well-groomed. Movements, when they occur, may be repetitive or compulsive. His boundaries are overformed, more like brick walls. He complains about being stuck. 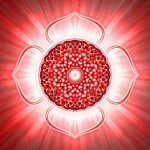 Want to learn more about how the root chakra works and dive deeper in understanding how this energy center impacts your life? Here are more resources to help along the way. Enjoy! Paramhans Swami Maheshwarananda (2012). 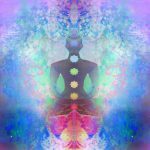 The Hidden Power in Humans – Chakras and Kundalini. International Sri Deep Madhavananda Ashram Fellowship. Hi there. This is very interesting. My one question is, if an overactive chakra is a sign of blockage in another chakra, what chakra is causing the root chakra to be overactive? Well for being “Satanic”, these gentle exercises and stretches sure help me to feel calm balanced, and ease back pain like nothing else. If that’s Satan, then he’s a calm relaxed dude. Hi. Iam Collins. I was a wholesome individual no worries safe even in times trouble. This changed when I had a condition in which I had a very bad smell I don’t know from where. Doctors said I was ok and they couldn’t feel any smell.A certain healer told me it was a psychic attack. Now its gone but i feel empty, suspicious,confused and insecure. Kindly advice. Use a red string in your left wrist and charge it to protect you from any more attacks, when you feel a wrist sensation like heaviness or wird itching thank it and burn it to cleanease the residual energy, repeat process. For the emptiness try wear pink anywhere in you, clothes, jewelry, crystals and meditate to heal the tymus and heart chakra and Try a new hobby or read a book, create something and sheare it with only the most important people in your life. Hope this helps. Blessings. I would suggest using Doreen Virtue’s Chakra Clearing Meditation. She has a book with the CD or you can purchase the CD by itself or buy the MP3 from iTunes. 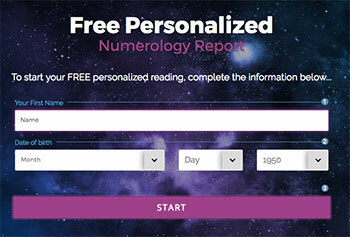 You can also Google Chakra Clearing Meditation by Doreen Virtue and she has a live version of it for free on YouTube. Her CD/MP3 has a morning chakra clearing meditation and an evening chakra clearing meditation, which I have always found helpful. Her Chakra Clearing will take you through all of your chakras to cleanse and balance each of them to ensure an overall energetic balance. She explains each chakra, the issues it relates to, the color associated with it, and an affirmation to clear it. You can also Google ways to clear you chakras which will direct you to other sources of chakra clearings on YouTube or other venues. Thank you. I’m still unsure if my root chairs is overactive or under active. I repeatedly get drawn to do work on it. I feel very uncomfortable in my body, and I have a lot of financial insecurity.